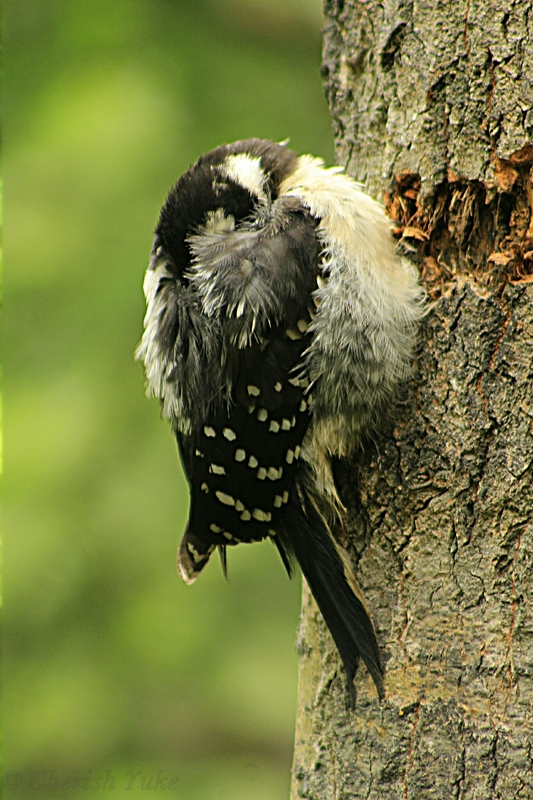 As I was walking by, I noticed this cute juvenile downy woodpecker sleeping on the side of the tree. Fairbanks, Alaska. So cute, I had to share!